In Stranger Things: The Game, knowing where to find all items (including quest items) is extremely important. The exchanging of items is a core element in Stranger Things: The Game, as items have the ability to earn you character upgrades, Heart Pieces, and can even help you find collectibles such as VHS Tapes, Eggos, and Gnomes. If you’re having a hard time finding something, you’ve come to the right place. Below, we’ve listed where you can find all items and special quest items in Stranger Things: The Game. Below, we'll show you where you can find all quest items in Stranger Things: The Game. Dynamite: In Stranger Things: The Game, Dynamite can be used to blow open the entrance to the Sewers. The Dynamite quest item in Stranger Things: The Game can be found by exploring the Quarry. Floral Bouquet: In Stranger Things: The Game, the Floral Bouquet is needed to acquire another quest item, the Library Key. Additionally, it grants Hopper a +2 bonus to Apologies. To find the Floral Bouquet in Stranger Things: The Game, head to the Florist. There, you’ll be able to purchase the Floral Bouquet. Hazmat Suit: In Stranger Things: The Game, the Hazmat Suit can be used to get through the Gate to the Upside Down. Additionally, it provides protection from the toxicity of the Upside Down. The Hazmat Suit quest item in Stranger Things: The Game can be found by exploring the Morgue. Library Key: In Stranger Things: The Game, the Library Key can be used to unlock the Library in Hawkins Town Square. To acquire the Library Key quest item in Stranger Things: The Game, you need to first purchase the Floral Bouquet from the Florist, then return to the Library and give the Floral Bouquet to the Librarian. Below, we'll show you where you can find all of the items in Stranger Things: The Game. Blank Cassette: The Blank Cassette item in Stranger Things: The Game can be found in a locker in Hawkins Middle School (give to Jonathan). Bottle of Pop: The Bottle of Pop item in Stranger Things: The Game can be found in the Garbage Dump (give to Tommy for a Heart Piece). Brake Pads: The Brake Pads item in Stranger Things: The Game can be found in the Garbage Dump (give to Callahan for Coins). Cathode Ray Tube: The Cathode Ray Tube item in Stranger Things: The Game can be found by giving Powell the Donuts item (see below). Donuts: The Donuts item in Stranger Things: The Game can be purchased at the Shop for Coins. Game Cartridge: The Game Cartridge item in Stranger Things: The Game can be found in the Garbage Dump (give to the Bradley’s Store Clerk for a Heart Piece). Hairspray: The Hairspray item in Stranger Things: The Game can be purchased at the Shop for 100 Coins. Handcuffs: The Handcuffs item in Stranger Things: The Game can be found by exploring the Forest. Hawkins Lab Blueprints: The Hawkins Lab Blueprints item in Stranger Things: The Game can be found in Hawkins Lab (give to Callahan). Keys: The Keys item in Stranger Things: The Game can be found in Castle Byers to the left of Joyce’s House (give to Joyce). 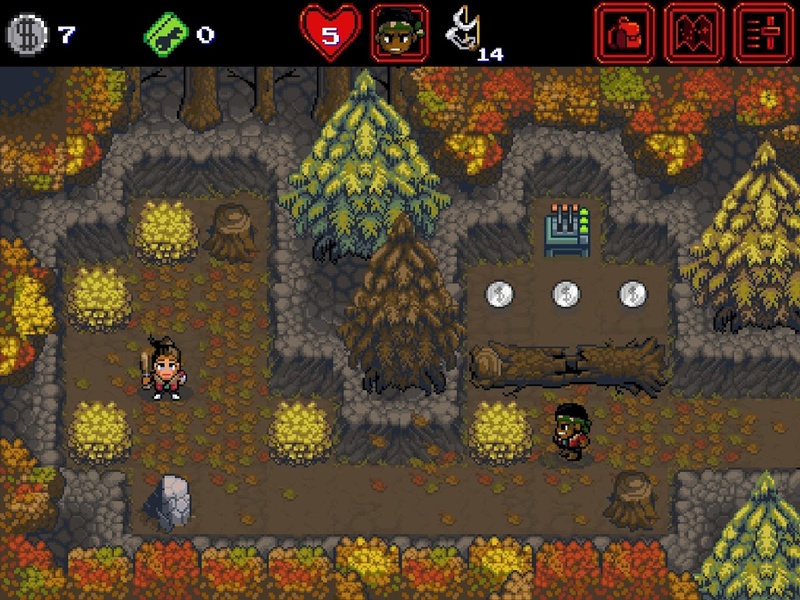 Ledger: The Ledger item in Stranger Things: The Game can be found by exploring a clearing in the Forest (give to Melvald in exchange for Heart Piece 33). Lipstick: The Lipstick item in Stranger Things: The Game can be found by exploring the Sewers (give to Carol at Bradley’s Store). Movie Tickets: The Movie Tickets item in Stranger Things: The Game can be found by exploring the Movie Theater (give to Steve). Nails: The Nails item in Stranger Things: The Game can be found by exploring the Forest (give to Steve in exchange for the Spiked Bat Upgrade for Nancy). Phone: The Phone item in Stranger Things: The Game can be purchased at the Shop in exchange for Coins (give to Joyce). Pocket Knife: The Pocket Knife item in Stranger Things: The Game can be found by exploring the Forest Maze (give to Tommy). Police Badge: The Police Badge item in Stranger Things: The Game can be found by exploring the Quarry (give to Callahan at the Police Station in exchange for Heart Piece 32). Pumpkin: The Pumpkin item in Stranger Things: The Game can be found by exploring the Pumpkin Patch. Robot Toy: The Robot Toy item in Stranger Things: The Game can be found by exploring a house located to the east of the School (give to the Bradley’s Store Clerk in exchange for Heart Piece 18). Romance Novel: The Romance Novel item in Stranger Things: The Game can be found by exploring Joyce’s House (give to Flo in the Police Station in exchange for Heart Piece 30). Rubber Skeleton: The Rubber Skeleton item in Stranger Things: The Game can be found by exploring the Graveyard. Salt: The Salt item in Stranger Things: The Game can be found by exploring the Middle School and using Nancy’s Spiked Bat to open up a tunnel (give to the Hunting Store Clerk in exchange for Heart Piece 36). Science Textbook: The Science Textbook item in Stranger Things: The Game can be found inside a locker located near a radio inside the School (give to Mr. Clarke). UV Lens Filter: The UV Lens Filter item in Stranger Things: The Game can be found by exploring the Forest Maze (give to Jonathan in exchange for a Camo Backpack Upgrade). There you have it, a look at where to find all items and quest items in Stranger Things: The Game. 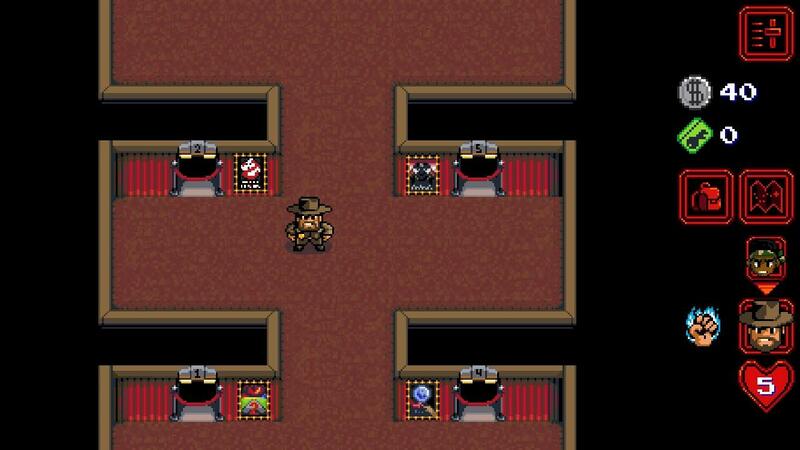 What item did you have the hardest time finding? Let us know down in the comments below. Additionally, if you need help finding other collectibles in Stranger Things: The Game, be sure to check out our guide on where to find all VHS Tapes in Stranger Things: The Game, and our guide on where to find all Eggos in Stranger Things: The Game! By reading through this guide, you should now know where to find all items and quest items in Stranger Things: The Game.